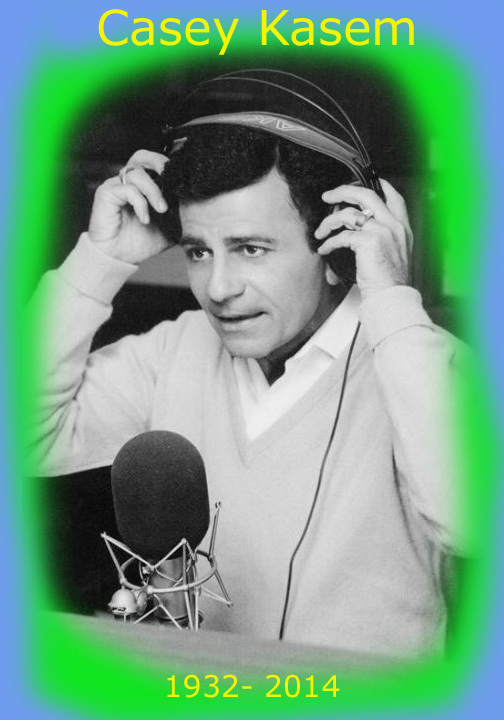 When I was a young lad attempting to make my worldly connection to music via Radio it was the engaging voice of Casey Kasem who kept me glued to the the kitchen (AM) radio, and it would be he who would play a major role in my desire to pursue not only live performance and songwriting, but also broadcasting and television production. This entry was posted on June 15, 2014 at 11:37 am and is filed under Broadcasting, Casey Kasem, Countdown, radio, Top Ten with tags Countdown, Kasem, Radio. You can follow any responses to this entry through the RSS 2.0 feed. You can leave a response, or trackback from your own site.